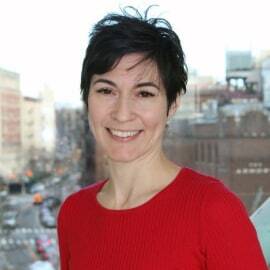 Dr. Eliza C. Miller is Assistant Professor of Neurology and vascular neurologist in the Division of Stroke and Cerebrovascular Disease at Columbia University (New York City). Dr. Miller's clinical research focuses on cerebrovascular complications of preeclampsia and other hypertensive disorders of pregnancy, using both physiological and epidemiological approaches. She currently serves as Assistant Editor of the International Stroke Early Career and Training Section (InterSECT) in the American Heart Association journal Stroke. She has received support from the American Medical Association Foundation and the National Institutes of Health National Institute of Neurological Disorders and Stroke through a StrokeNet Fellowship. She was the recipient of the American Heart Association's 2018 Robert G. Siekert New Investigator Award for her work on long term cerebrovascular complications of preeclampsia, and is a co-founder of Columbia Motherhealth, a new multidisciplinary research initiative to study cardiovascular and cerebrovascular effects of preeclampsia using precision medicine approaches, supported through Columbia's Irving Institute for Clinical and Translational Research.